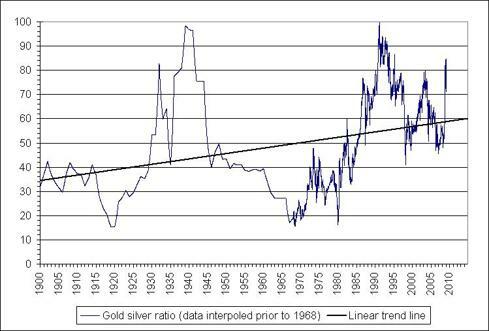 I you have a look at the chart you can see that the seasonality of silver is similar to the one of gold. They both peak mid February, correct till summer and then rally again. 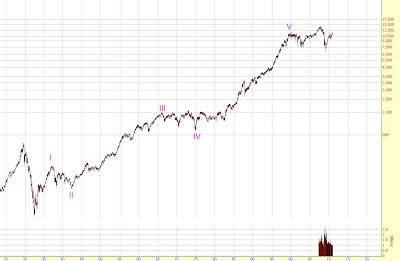 This has worked almost every year since 2003 so 2011 may unfold similar. I think it's much nicer this way. 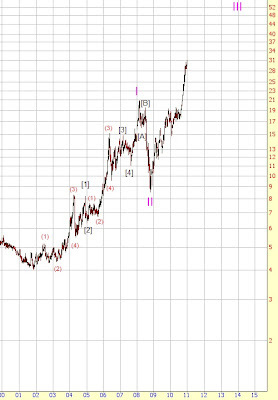 The recent rally is just too big to be a fifth wave imo, so cycle wave III underway fits better. 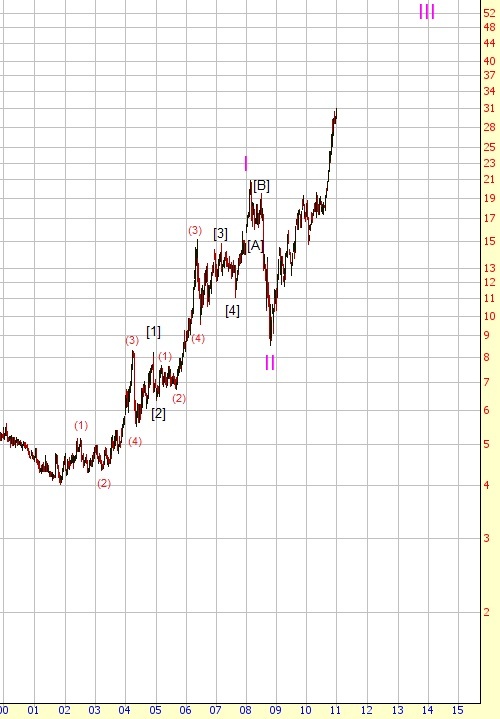 Cycle wave I was 17.43 $, so if III = 1.62*I then the target for wave III were 36.6 $. 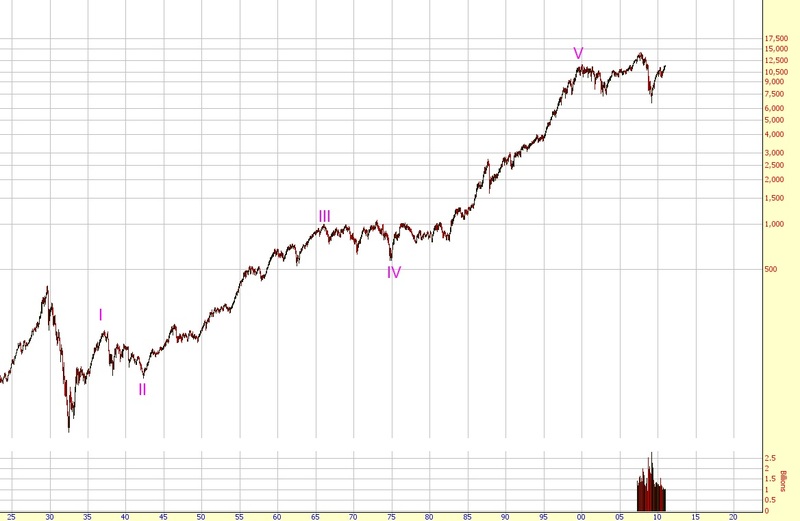 Wave I was about 150 points, III ~900 and V 11000. So, the normal fibonaccis weren't really useful. 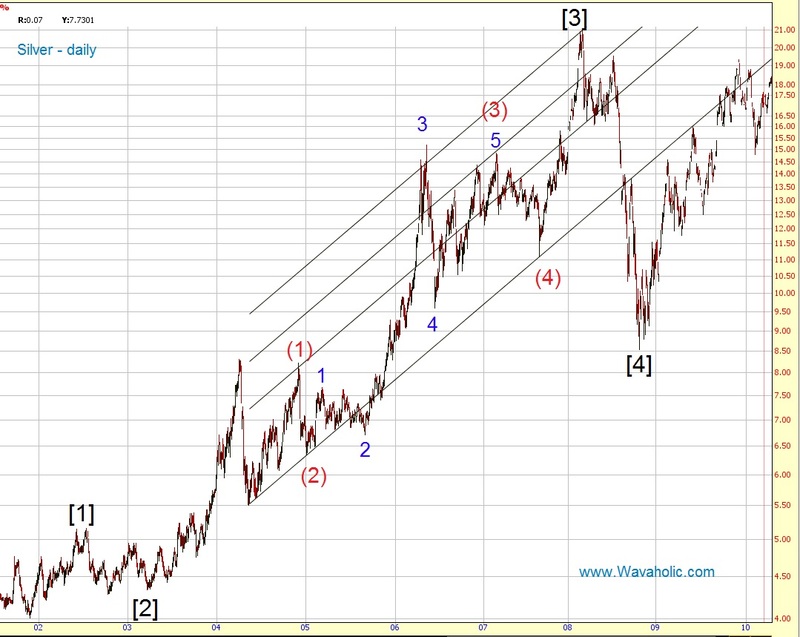 So let's see if I am too bullish on silver and gold and if it was wise to change my counts. I think it was (else I wouldn't have changed it lol), but only time will tell.